Department of Computer Science, Trinity College, Dublin 2. My current research is in the area of Health Informatics, specifically Electronic Healthcare Records and system integration. Other areas of interest include Federated Database Systems, Decision Support and multi-media user interfaces. I was co-founder of the inter-displinary Centre for Health Informatics, which am currently Director. I am also a member of the Knowledge and Data Engineering Group. I was Project Manager of the Synapses Project funded by the EU Telematics Applications for Health Programme and am involved in the follow-on project, SynEx . Under the Synapses project we developed a Federated Healthcare Records Server which allowed client applications to request healthcare records (or parts of records) and related medical data about individidual patients irrespective of where that source data is stored. The Synapses server makes use of federated database managament system technology and uses an active dictionary to drive the interaction between client, server and source data systems (referred to as feeder systems). An important underpinning philosophy of Synapses is to preserve investment in existing legacy systems. Another major project, Medilink was an interdisplinary, inter-institutional research programme in Health Informatics funded by the Irish Department of Education and Science under the Higher Education Authority's Programme for Research in Third Level Institutions. Medilink was a joint project with the Dublin Institute of Technology and on the Trinity side involves both the Departments of Computer Science and Mechanical and Manufacturing Engineering. Current projects include Ait Eile, a virtually community for children in hospital and Solas, an extension of Ait Eile for children who spend long periods in isolation. A new research interest is in the area of ICT4D i.e. the effective use of Information and Communications Technology in the developing countries with a particular focus on health and higher education. I am an active member of a number of professional organisations including the Engineers Ireland (formerly the Institution of Engineers of Ireland, IEI), the Irish Computer Society (ICS) and the Health Informatics Society of Ireland. 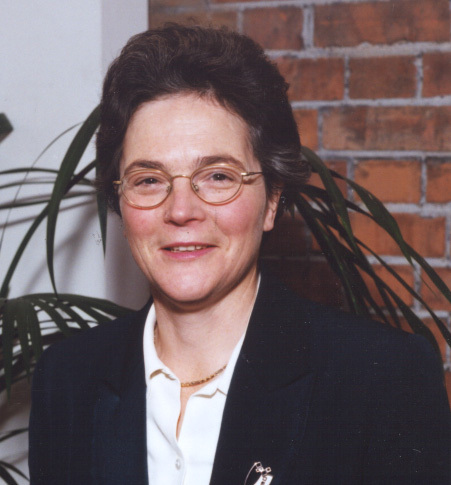 I was President of the Institution of Engineers of Ireland from 1999-2000, of the Irish Computer Society from 2000 - 2004 and President of the Health Informatics Society of Ireland from 1999 - present. I am committed to the integration of software engineering into the mainstream of the engineeering profession and have worked with both the IEI and the ICS to promote this approach within Ireland. I also have a particular interest in promoting engineering generally as a career among young women and currently chair a committee in the Department of Education and Science aimed at increasing the participation of girls in careers in Science, Engineering and Technology. I chair the Irish Research Council in Science Engineering and Technology (IRCSET) and am a member of the board of Science Foundation Ireland (SFI), of the Executive Board of the European Science Foundation (ESF) and of the European Research Advisory Board (EURAB). I am also a member of the Board of the Adelaide and Meath Hospitals, Dublin Incorporating the National Children's Hospital (AMNCH) and of Alexandra College.